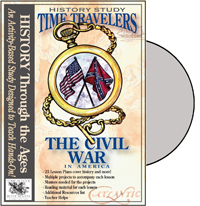 This series is a very exciting way to study American History. 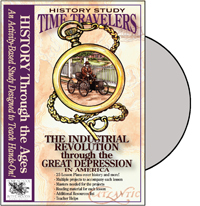 The Time Travelers Series falls under the category of Unit Studies, as well as using some Charlotte Mason style approach, using living books & copywork. 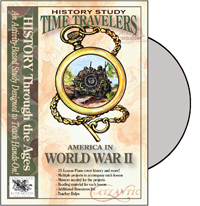 The History Unit Studies are very hands-on with many fun activities that pull together in the end as a Lap Book and/or a Notebook. The printouts for these projects are beautiful. 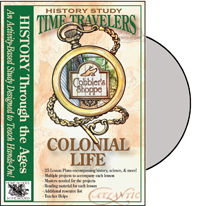 I have used the Colonial unit with my now ten year old (we began in third grade when she was nine) and we are currently working on the American Revolution Unit. My daughter loves learning about American history this way. 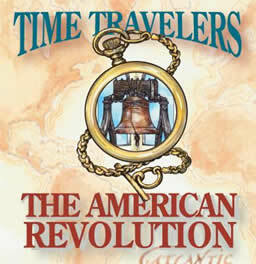 We cannot wait to finish The American Revolution so we can get on to the next couple of Units! 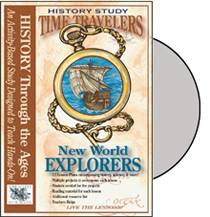 The series includes New World Explorers, Colonial Life, The American Revolution, The Early 19th Century, and their newest CD, The Civil War. 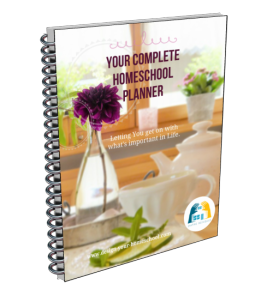 Each unit is packed with wonderful activities, experiments,& games as well as a multitude of suggestions for extra books to read and movies to watch, to further expand your studies. My six year old enjoys many of the activities with us. I love how these units can be tailored to different ages. There are many activities that my daughter and I just cover the basics on, but will come back to at a later time to study more in-depth. 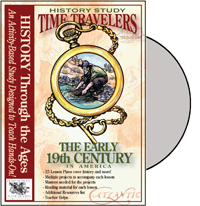 Each CD is less than $30.00 and very easy to use. 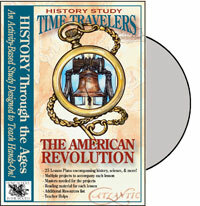 I highly recommend this for American History. 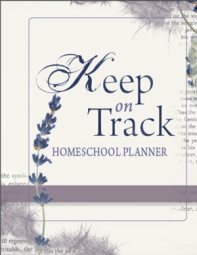 Home School in the Woods also has many other wonderful homeschool history studies for you to use in your homeschooling family.